1) A few helpful words on using glue when making tiny patch pockets. 2) How to modify the length of a Sideshow Figures legs. 3) How to style a doll's skirt, two methods. 4) How to make shabulously chic flowers. 5) Useful notes on restyling MSD boots with paints and shoe dye. 6) How to make your own doll sized belt buckles. 8) Not quite a tutorial. 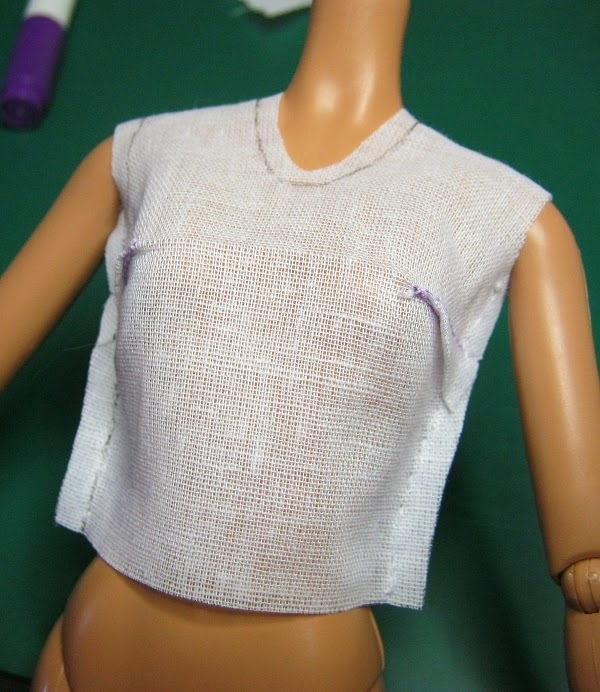 Useful images on how to make a bodice pattern for a doll. 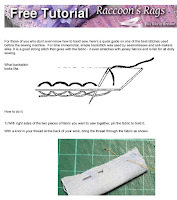 9) A free PDF tutorial "How to Backstitch". 10) Free sewing pattern for Ellowyne: Pinafore for Ellowyne, and slim MSD. 11) Free sewing pattern for Patience: Sundress/top for Patience Wilde, Marley Wentworth, Agnes Dreary. 12) Free tutorial: Raccoon's Shell Hem. 13) Notes on casting dolls feet for shoe lasts. 14) Free sewing pattern for Kaye Wiggs: Sundress/top for MSD and Mei Mei bodies. 15) How to cushion your resin doll's neck joints. Not quite a tutorial, but very useful. 16) Bijou tutorialette: How to do decorative fraying. 17) Raccoon's red hot tips: Seven steps to precision sewing. SSP-068: Lace up boots for Kaye Wiggs dolls.